I found this book by accident, and I’m sure glad I did. While the inside flap purports it to be an African American Utopian novel, it’s really a delightfully crazy magical realist novel. The characters — whose names all seem to have larger significances than the individuals they belong to — are a moody bunch of people living in an amazing little community located somewhere in the US called Soul City.Soul City is populated by African Americans with an abundance of magical capabilities ranging from mind-reading to flying to being able to smell (and therefore subvert) Death — all of which are passed on through the genes by ancestors who were slaves. 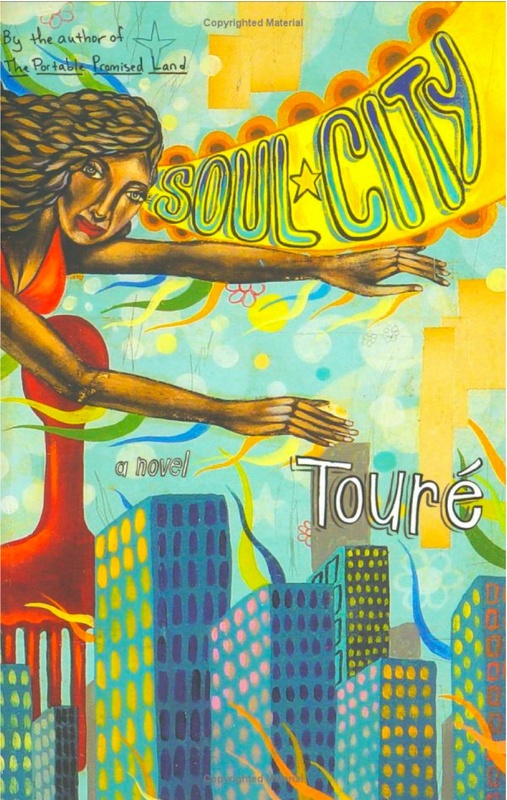 The ties between the present and the past are very strong in this novel, and the characters are constantly thinking about their roots and remembering the people they came from.They’re also happily bound certain aspects of African American culture that Touré identifies as inherently important — such as dancing, having good hair, and (most significantly) a strong community of family and friends. Other cultural stereotypes — like the image of the pickaninny and the idea that African American men are amply-endowed — are also confronted, but in a manner that makes clear their harmfulness and their danger.This was an unexpected read, and one that may end up in my dissertation (especially since it’s a really fun example of a contemporary work of magical realism by an African American author). Touré also has a book of short stories out called The Portable Promised Land, as well as a collection of essays entitled Never Drank the Kool-Aid. If you’re looking for a fun and intelligent read, this book’s for you!